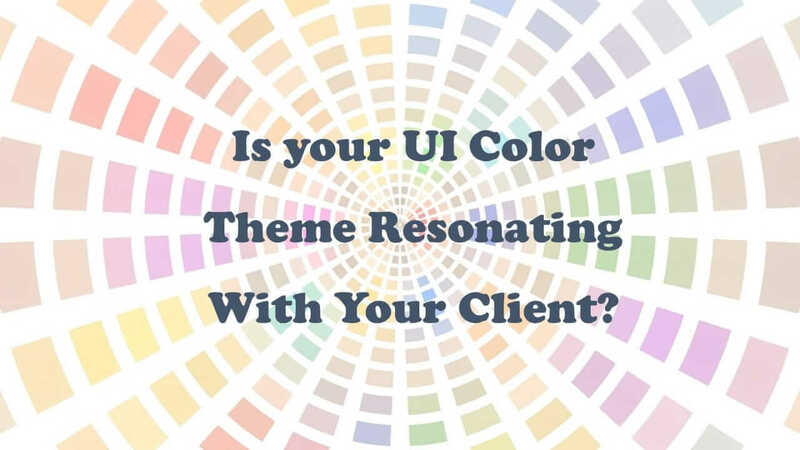 Is your UI Color Theme Resonating With Your Client? The topic of choosing the right color for your app’s UI is not a black & white one. We could only wish that there was chart for color conduct to ensure maximum interaction and conversion. Alas! That’s not the case. So how to find out if your UI color theme is resonating with your client. 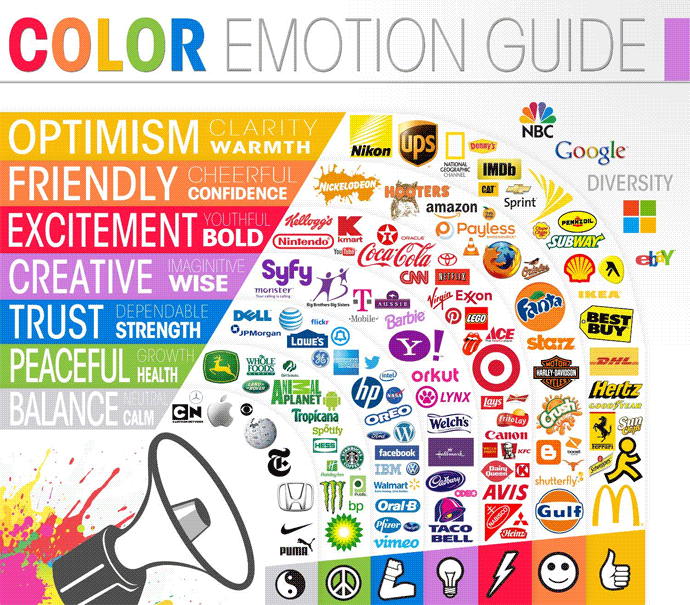 Color Psychology tells us how colors affect the minds of our customers and defines their buying behavior. However, the understanding of these effects is not the same for people across geographies and demographics. Cultures everywhere attach different levels of importance and emotions to certain colors. What is considered a lucky color for some cultures, might not be as lucky for another. For example, when it comes to branding, red signifies excitement, youthfulness, and boldness. Yet, the color red is often looked at as a sign of danger. Again, red is often considered one of the best options for CTA buttons as they often indicate higher conversions. Your product has a certain personality. Your offering could be something that provides security, could be utterly friendly, or it even could be adding oodles of optimism to your customer’s life. The kind of value it provides to your customer by way of personality, will help you understand what UI color you should go for. For example, you will find most financial and technological institutions going for the color blue. Why is that? Blue stands for trust, dependability, and strength. These are qualities people look for in companies that handle their finances and their technology. However, it does not mean that if you belong to a particular industry, you will need to follow the color code of that industry. In fact, like I mentioned in the beginning, there is no real color code. You can even go for a color which is completely different from those of your competitors to create some differentiation. This could help in building a distinct brand identity and increasing brand recall among a sea of similar offerings. This is, by far, one of the best ways to differentiate your brand from those swimming in the same pool, clad in the same color. If you wish, you can always carry out a survey about how your target customers feel about the chosen color. Do they relate to it? Do they think that the brand and the color go together? After all, it is for them that you are going through the process of zeroing down on a color pallet which will help them remember your brand easily. You could also include some other questions in the survey to understand your target audience better. Include questions that will help you create relevant personas for your marketing efforts. Color preferences might differ between men and women. While both genders clearly show liking towards the color blue, the colors orange and brown were equally disliked by both. This information comes to from Joe Hallock’s study on “Color Assignment”. Depending on the color preferences of each gender, you can decide which colors might be palatable for all and go for it, accordingly. If your product or service offerings are inclined towards a certain gender then that can help you sort out the colors even more easily. For example, women love the color purple, whereas the color is not mentioned when it comes to men’s favorite colors. Also, each color brings with it various shades and hues. There is not just one color. There are many. Blue could be deep blue, navy blue, sky blue, turquoise, teal, and so on. Same goes for red, green, yellow, pink, orange etc. Read about how Roars used color psychology to create app UI color pallets for their client’s service offering: Serenatas. There is no right or wrong when it comes to color preferences. The best you can do is conduct a survey or go with your gut feeling. You will know your product or service offering better than anyone else. And thus, you will understand the personality it portrays, better. Confused about what colors to choose to create your web/app UI? Our team of experts will be happy to help you create a stunning UI/UX for you and your customers. Check out some of works here. We would love to hear from you!